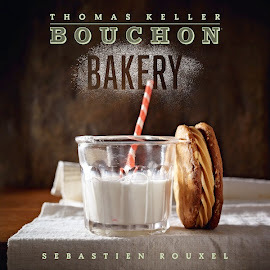 This bread is for anyone who feels a bit guilty about eating white French bread. It's loaded with whole grains, adding lots of nutritional value without sacrificing any of the delicious taste and texture we love in our baguettes. Adding whole wheat flour, rye flour, oats, quinoa, flax seeds, sesame seeds and sunflower seeds loads this bread up with tasty rustic goodness. The fermentation time for this recipe is quite short, only an hour total, unlike any of the recipes so far. So it's entirely possible to have a freshly baked loaf of multigrain bread in less than 4 hours. The recipe gives instructions and measurements for both bâtards and demi baguettes, so you can choose which shape to make, or make both! The bâtard lends itself better to sandwich-sized slices, but the baguette is great for just snacking. At the end of the recipe, there's a note for fried eggs on toasted multigrain, which sounds just amazing, and would be a perfect breakfast, lunch or dinner. Now that we've mastered basic doughs, it's time to get creative. 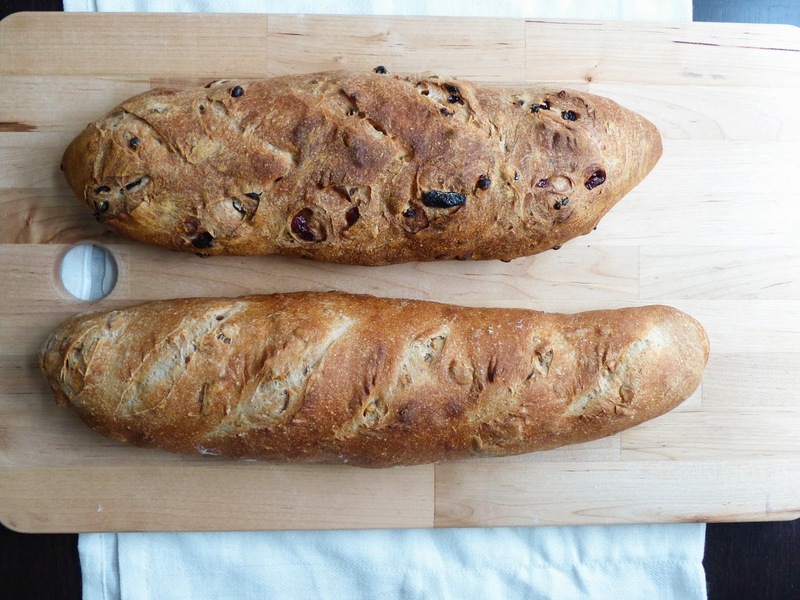 These two variations on the country bread we did last week incorporate nuts and dried fruits. 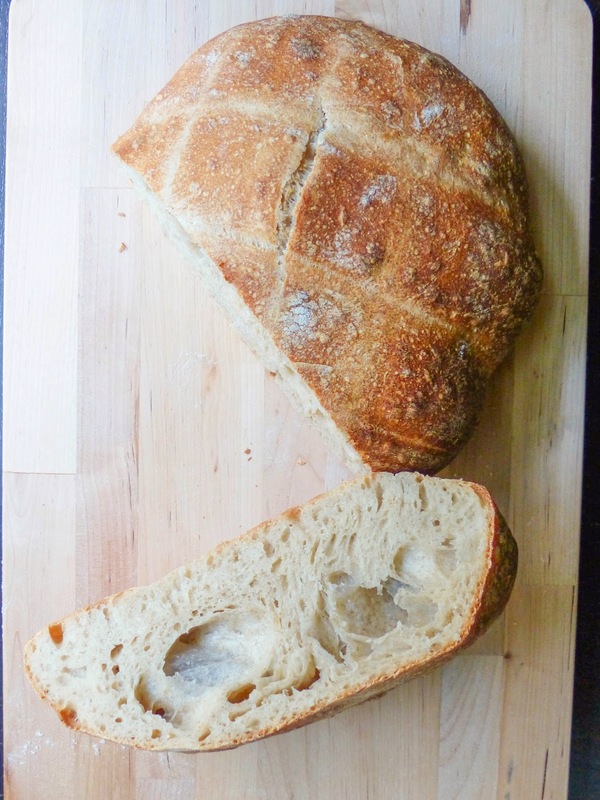 It's amazing how you can take one master dough and add different mix-ins and get two completely different breads! While the dough base is a pain de campagne, the shape is a bâtard. So we're really using two techniques that we've learned so far in this one recipe. After last week's introduction to breadmaking, it's time to make everyone's favorite: the baguette. However, it is impossible to make a full-length baguette in a home oven, so we're making demi-baguettes instead. These little half-sized baguettes are still just as satisfying as their full-sized counterparts. 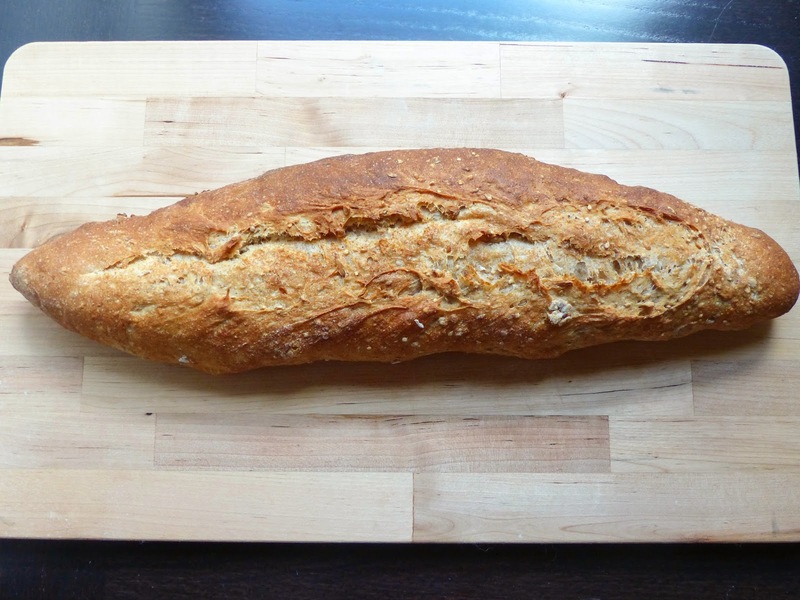 Another variation of the baguette is the epi baguette, which is exactly the same except for the shape. 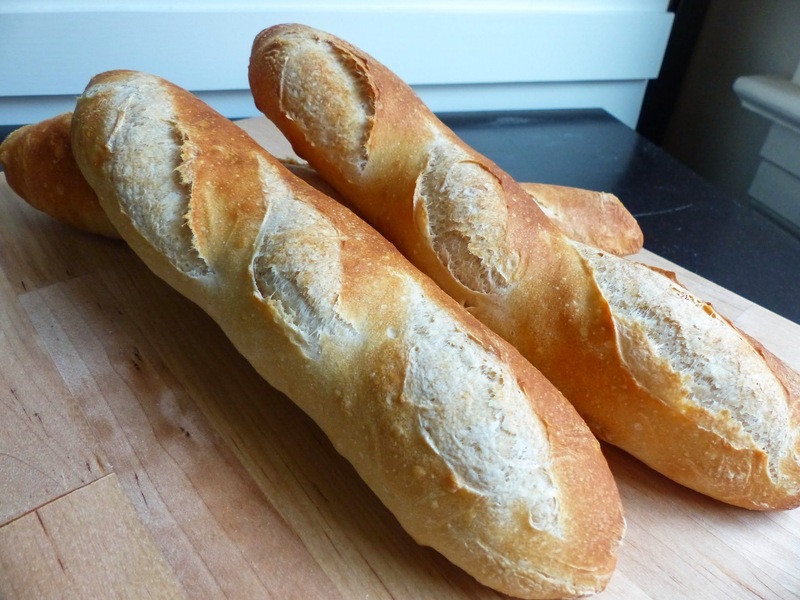 Epi in french means wheat, and the baguettes are cut in such a design to resemble a wheat stalk. It's especially nice for sharing, since it's so easy to tear off a leaf. Either version is a delicious treat, just begging to be slathered with salted butter.